Bats have a nasty reputation for being creepy, dangerous, and sometimes turning into blood-sucking vampires, but nothing could be farther from the truth. Bats are incredibly special animals that are in desperate need of a PR makeover, and I think we’ve found the mascots that might be able to turn things around. The adorable little fella you see above belongs to a group called “dog-faced bats,” and there’s more of them now than ever before. In research that came out earlier this year, a pair of new dog-faced bat species was officially added to the bat roster, and they are very good bats. The bats, which Smithsonian perfectly describe as “sky puppies,” were identified by specimens gathered a number of years ago. 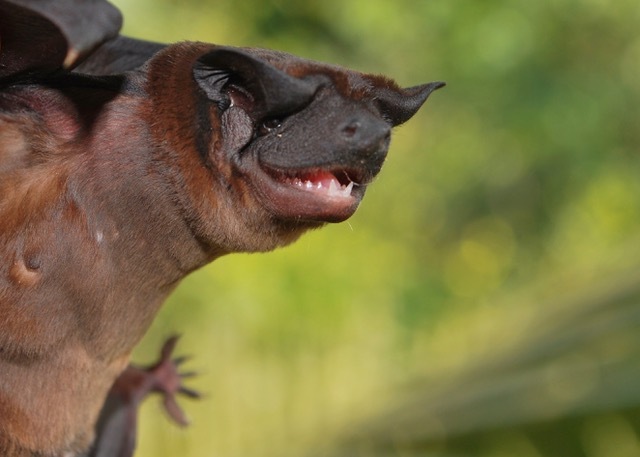 The process of differentiating closely related species can take a while, but the verdict was finally reached and the two new species, the Freeman’s dog-faced bat (seen above) and the Waorani dog-faced bat. The animals were found in Panama and Ecuador, respectively. “After characterizing the body shapes of 242 dog-faced bats from museum collections across the Americas and Europe, comparing their DNA, and adding in field observations including sound recordings, we consider there to be eight species in this group, two of them new to science,” Ligiane Moras, who led the research, said in a statement. Look at him! All he wants to do is hang out, eat some bugs, and smile at passersby. Frankly, these bats look like the only thing they need from humans is a nice little belly rub. I would be happy to volunteer.